"Probably the fastest and easiest way to learn a language online"
Since its start in 2004 Rocket Languages has quickly become one of the best selling language courses on the market. Their courses are popular with beginners, business, and holiday travelers. With a price tag under a hundred dollars their courses are an affordable option for most language learners. In this review I will to look at the Rocket Language course in detail and explain what each of these courses consists of and how much you can expect to pay. I will explain the major advantages of Rocket courses, as well as some important downsides you should be aware of. At the end of the review you will find my overall conclusion and recommendation. Interactive Audio Lessons - There are typically 32 audio lessons of about 20 minutes each on average. These include dialogues for you to study and then add in your own spoken answers. Illustrated Language and Cultural Lessons - These explain the main grammatical points of the language, as well as providing important cultural information about the country you are planning on visiting. Games and Quizzes - Each Rocket Language course comes with interactive games and quizzes to help reinforce your learning. Word Master involves converting spoken sounds from the language and selecting the correct words and phrases. Phrase Master involves creating accurate phrases in the local language. Basic Survival Kit - These are 10 interactive audio lessons which focus on the most important phrases for travel in the country you are visiting. Beginner Mega Cards - This is a Rocket Language flash card system that contains 150 of the most important words and phrases. Advanced Mega Cards - This uses the same flash card system but includes 100 advanced level words and phrases. Each of the Rocket Language courses offers two purchasing options. One version is a physical CD course and the other version is an online access course. The content will be the same in whichever option you choose. Rocket Premium 24 / 7 Online Access - This is the online option for your language course. Typically this is priced between $67.95 - $99.95, depending on which language course you purchase and whether any discounts are being offered. Rocket Premium 20 CD Course - This is the physical version of the course and typically costs $299.95. This includes free shipping of the course to anywhere in the world. When you purchase the physical version of the course, you also receive online access. 6-Day Free Trial - Before you decide to purchase any Rocket Language course you can take advantage of the 6-day free trial. This gives you complete access to the course for six days and you do not even need to provide credit card details. This opportunity to try before you buy is unique amongst the language course providers. It allows you to decide if you like the style and material before committing to a purchase. 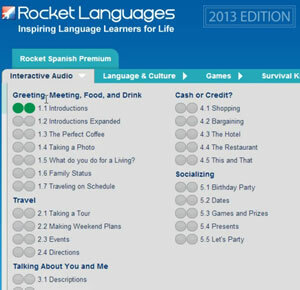 Uses Native Speakers - Rocket Languages uses a different native speaking guide for each of one of their courses. Being able to hear how a native speaker speaks the language is very useful. Mobile Learning - All of the audio files are downloadable as MP3s. This means that you can use your Rocket Language course on any MP3 player or iPod. For people who want to learn while they commute or who lead busy lives this is one of the major advantages of the course. Chunking Method - Rocket Language courses use the concept known as chunking. This is breaking down the material into "chunks" which are easy to memorize. Chunking has been shown by studies to be one of the most effective ways of learning a language. 60 Day Money Back Guarantee - In addition to the 6-day free trial, Rocket Languages offers a 60-day money back guarantee. This allows you to obtain a complete refund of your purchase within 60 days if for any reason you are not satisfied with the course. This virtually removes any risk from purchasing the course. Personalized Progress Tracking - Each course includes a personalized dash board where you can evaluate your current progress. Rocket also provides you with suggestions for which lessons you might want to try based on your personal learning style. Incentives Learning - Another great feature of Rocket is the incentives learning. 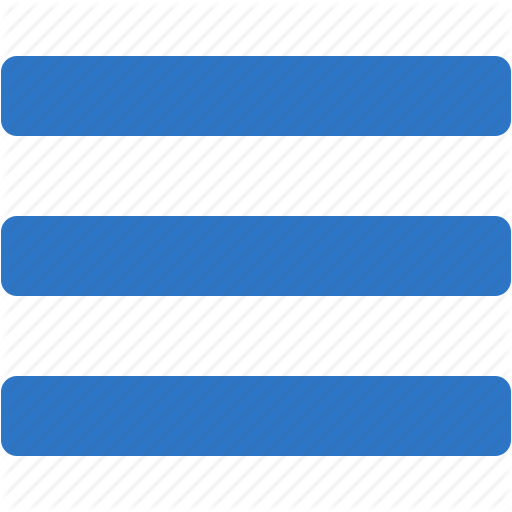 As you progress through the course, you are awarded with different badges. There is also a leader board where you can compare your progress with other learners. These incentives can really help to encourage you to keep learning. Value For Money - At less than a hundred dollars these courses offer fantastic value for money. To give a quick comparison to other comparable language courses Rosetta Stone level 1 - 4 is $499, Fluenz is $398, and Tell Me More is $449. Not Strong On Reading And Writing - Rocket Languages is primarily aimed at beginners and travelers and uses audio-based learning. While it is very good at what it does, it is not well suited for university level students who may want more advanced reading and writing material. No Assessment Test - There's no initial assessment test to grade your ability in the language. For beginners and intermediate learners this will not be a major problem, but for more advanced students trying to find out which lesson to begin with this can be inconvenient. Not Well Suited To Advanced Learners - For advanced language learners Rockets material may be a little basic. The course is more aimed towards beginner to high intermediate learners. Good interactive emphasis on the fundamentals. High-quality audio lessons (All portable music players supported). Not aimed at highly advanced learners. The courses are put together in an intuitive way and the lessons are easy to navigate. The audio lessons can be transferred to iTunes, an iPhone or iPod, or any other mobile device that supports MP3. I feel that they hold just the right amount of information to absorb per learning session. They also add very well to the online lessons, which can be used on desktop computers as well as on tablets such as iPads. It offers a great platform for people on the move or learners who look for a comfortable way to learn a language while traveling. I especially liked the Rocket games and the high level of interactivity. In summary, the combination of different teaching methods (audio, text, visualization) and the quality and standard of the materials, especially the audio lessons, make it a fun to use product. While Rocket may be too basic for learners at a highly advanced level, it's an excellent place to start for beginners and intermediates. Despite its few flaws I honor Rocket Languages with my Editor's Choice award for offering the best overall language course. I have based this assessment on the quality and extent of the teaching material, the competitive price, and excellent guarantees. If you want to try it out first, there's a free trial that gives you free access to the full course for 6 days. To sign up, enter your email address on their site; you'll receive an email with your password a short moment later.